When talking about make-up, I’m always very selective. I think it’s very important to use good-quality make-up and to keep your skin very clean and well cared. I love to try new beauty products. I’m always testing all kinds of make up and always trying something new. 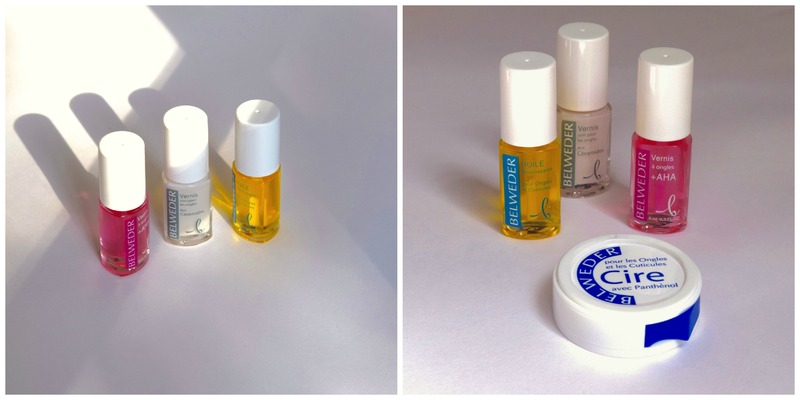 When Belweder approached me, I was super excited about testing this new beauty brand. Belweder asked me if I would like to test their new beauty products, so I gave their products a good test-run! Belweder is a first-rate beauty-product developer and they’ve started their business about 20 years ago. In Russia Belweder is already well-known and now they are trying to conquer the market in the Netherlands. As in Russia consumers in the Netherlands become more aware of prices and more selective about their purchases. Belweder focus their choices on more-essential products and value for money. That’s what Belweder produce: fair products for an accessible price. I must say, I’m very satisfied with all the products I’ve received! Nourishing and providing wax for your nails and your cuticles. It accelerates the recovery by sensitive spots and it works soothing. Because it isn’t greasy it absorbs quickly. Use it daily, for example before going to bed. Because of the lavender extracts it smells very pleasant. Aromatic oil for intensive nourish when you have dry nails or cuticles. It consist of avocado-oil and jojoba-oil. It hydrates and prevents your nails and cuticles from tearing. You have to apply a little bit on clean nails, massage it in a little and let it absorb. A strengthening transparent base coat which consists of fruits acids (AHA). It prevents splitting nails and protects the nails against dehydration and against losing their color. 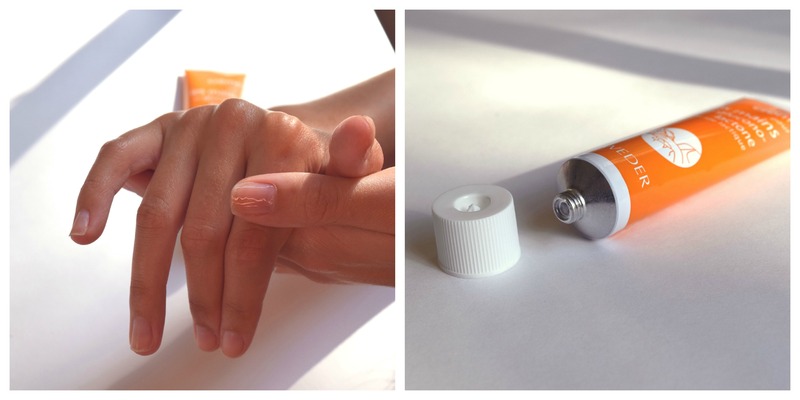 Apply two layers on clean nails. Another strengthening base coat, neutral color with vegetable ceramide. It revolves fragile nails and also protects against discoloration and camouflages little imperfections. Apply two layers on clean nails. This one is my favorite: a strengthening lip balm made of papayaseed oil and shea butter. It works convalescent and soothing. It moisturizes and protects your lips from the sun and the cold. I loved it because it works immediately and your lips feel soft for the whole day. It contains SPF5. The restoring lip gloss with attar of roses. It contains vitamin A, which delays the aging process and vitamin E, which protects your lips from exposure of factors like the sun. It leaves a little shade of peach behind. And another restoring lip gloss with cranberry oil. This lip gloss also protects from exposure to the sun and keeps your lips very hydrated and elastic. It leaves a nice dark red shade on your lips. I have also received a hand cream and I’m totally crazy about it. I was always searching for a hand cream which absorbs immediately and which is not greasy. Finally I found it! This hand cream consists of gluconolactone and lactic acid which improve the flexibility of your skin and it makes your skin so soft! The pink one: contains grape seed oil and vitamin D, C and E. It also has a UVB and UVA filter which will protect your lips from the sun! It softens and makes your lips smooth. The orange one: contains sweet almond oil and jojoba oil. It quickly eliminates dryness and moisturizes your lips. The green one: contains vitamin E, cotton seed oil, soybean oil and aloe leaves extract. It removes feeling of tightness, tension caused by lip dryness and this one also softens moisturizes your lips! I think the new Belweder beauty products look very professional. Simple, clear text and user-friendly. The nail polish last very long, I love that. It lasted easily a week on my nails without chipping. Also the wax for your nails and cuticles worked perfect. It absorbs very fast and doesn’t feel sticky on your nails. The lip care is also very satisfying. Especially when it’s winter, I usually have very dry lips. I hate it so much. I can’t act normal with dry lips. I’ve always used a lip balm from The Body Shop, but when I discovered the lip balm from Belweder I was immediately sold! I also love the packing of the lip balm: simple, thin so you can easily bring it with you wherever you go, and professional. I’m the kind of person who’s always more attractive to products which looks good and professional, than products which looks cheap. About the lip glosses: I mostly use lip gloss when I go out. For that they are perfect. One simple, transparent and soft lip gloss and one more striking one. Belweder is really worth a try! Buy your make-up here!